Keeping the kids entertained after school can be an expensive and time consuming business with the rising costs of after school clubs, coupled with hectic work schedules. It is little surprise to find mum and dad struggling to juggle every day life while sticking to a weekly budget. The latest Which? survey (July 2011) states that 86% of British adults said that compared to a year ago, their grocery bill has increased, meaning day-to-day savings have become an even higher priority for families. To help save families time and money, YAZOO has teamed up with Premier Sport (Playball in Ireland) to offer free sport activities for kids, worth up to £15.00* per session. Whether it’s before school, during lunchtime or at the end of the school day, Premier Sport provides kids a whole host of activities available at flexible times to suit parent’s needs. With cheerleading, dancing, football and tag rugby on the agenda, kids can stay active and healthy, but equally importantly, just have fun. YAZOO milkshake is the perfect drink for children after playing sports as a recent study found that active children are better off drinking milk than water or sports drinks*. Parents can also feel confident that YAZOO is a healthier alternative for their kids as it’s school approved. 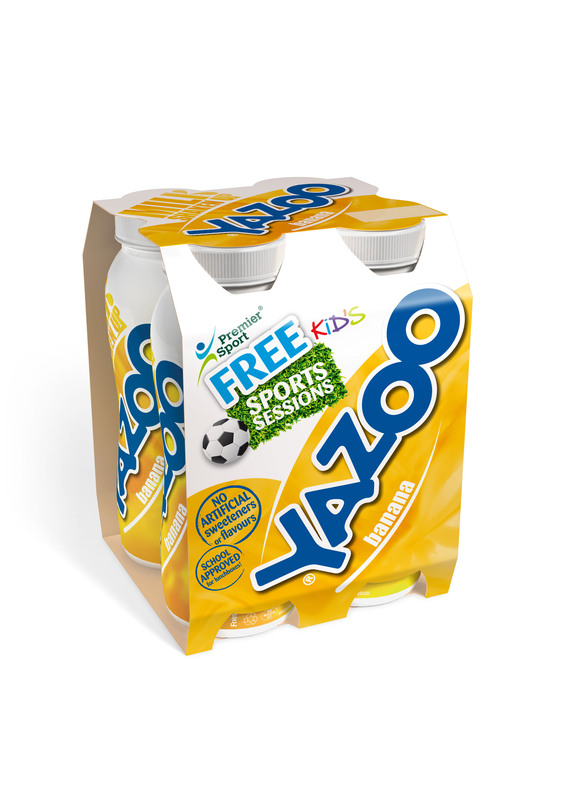 Signing up to a free activity couldn’t be simpler; after purchasing a multipack of YAZOO Chocolate, Strawberry or Banana, log on to the website, www.yazoo.co.uk and enter the unique code to produce a voucher for a free activity session with Premier Sport. Mums and dads will then be guided to the Premier Sport website to sign up for their child’s chosen activity. Premier Sport activity clubs are available across the UK, making it even easier for mum to keep the kids entertained during the working week. This press release was distributed by ResponseSource Press Release Wire on behalf of Mercieca Ltd in the following categories: Children & Teenagers, Entertainment & Arts, Leisure & Hobbies, Sport, Food & Drink, for more information visit https://pressreleasewire.responsesource.com/about. We create ideas to help brands stand out. To help them compete in markets that get tougher every day. To engage with people in an ever-changing media world.